Guess what. Hockey's back! As a new season begins — the first with 31 NHL teams — Alan John Herbert helps us celebrate by offering up his full redesign of the entire NHL. New jerseys for every team. Which ones do you like best? Alan John Herbert has been thinking about the possibility of the Quebec Nordiques returning after Adidas takes over production of NHL uniforms next summer. Think it might be a stretch to imagine Joe Sakic back on the ice though. Let's take this Outdoor Saturday to flashback to the 2016 Stadium Series game in Colorado. Alan John Herbert had hoped to see something like this on the ice at Coors Field. What do you say? The Barracuda have been one of the more popular rookie teams to get attention from Icethetics concept artists this season. In this one Alan John Herbert moves the Barracuda Networks logo around to make it a little less obvious. What do you think? 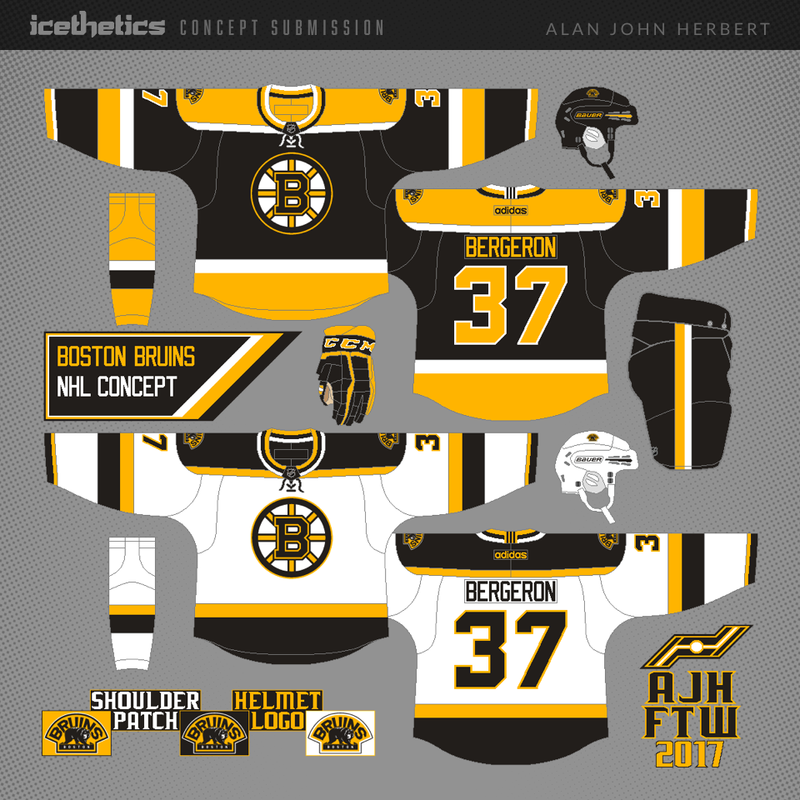 The Iowa Wild have been wearing modified Minnesota jerseys but Alan John Herbert thinks they could use a design of their own. Hard to disagree.